In support of our friends and family members who fight breast cancer, we are highlighting Boarding 4 Breast Cancer as our Changemaker of October. 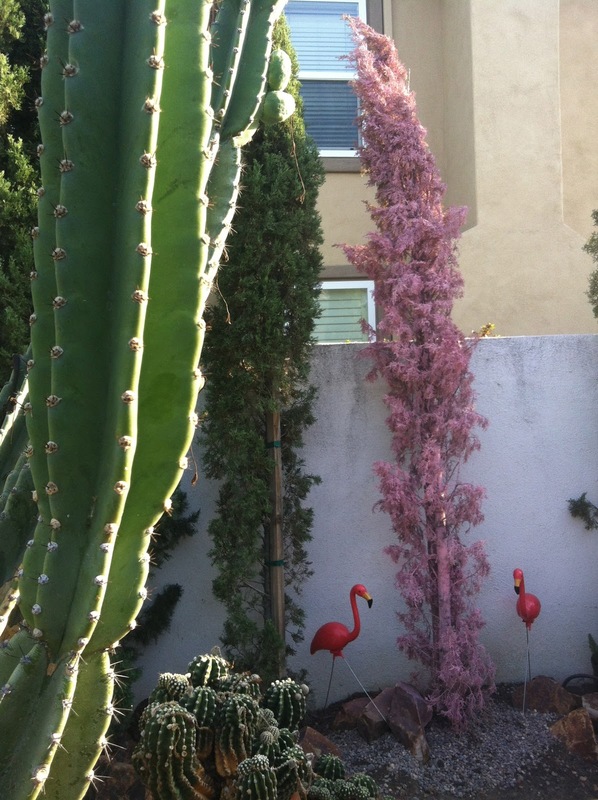 Show support by going pink - Corine painted a tree in her yard bright pink - and selecting B4BC as your ShopAnthropy beneficiary. Download B4BC's widget by clicking this LINK. Shop PINK and B4BC sponsor Volcom products in our online MALL. EAST BAY during their Pink Ribbon campaign. East Bay offers the largest number of athletic gear in pink. We are in Back-to-School mode. As our nation's education budgets keep getting cut, we feel that we all need to do whatever we can to help our kids in school. That's why we selected Donors Choose for the month of August. back to school special offers, do your school supply shopping online and earmark the retailers' corporate gifting percentage for Donors Choose. This month we are hoping to help Flying Kites Global. Flying Kites is an organization concerned with helping vulnerable children around the world. Currently, they are building The Flying Kites Leadership Academy, a home and school for abandoned, abused and orphaned children in Kenya. 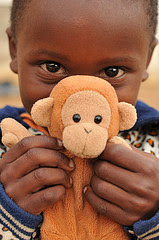 Located at the foot of the Aberdares Mountains, the center has become home to many children in need. Their goal is to affect change in development practice on a global scale. To ensure sustainability as they replicate their model around the world, they have developed a series of innovative programs that fund projects and further their mission. 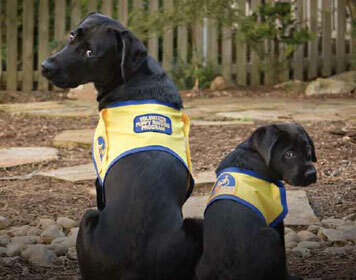 We chose Canine Companions for Independence for June to congratulate them on their outstanding 4-Star rating by Charity Navigator! During this month, we encourage you to shop+support CCI. This month, you can also vote for the "Hero Dog" - the winner will be honored on October 6th at the Beverly Hilton Hotel. As we get ready to celebrate our moms we selected FMCPaware.org as Changemaker of the Month of May. One out of 5 Americans will be diagnosed with fibromyalgia while scientists are still looking for the cause of this widespread disease that can truly disable affected sufferers. Most of them will be women of childbearing age! FMCPaware works to find solutions! Mission Statement: The mission of the National Fibromyalgia & Chronic Pain Association (NFMCPA) is to build a united patient and health care community to create a strong voice and organizational base to educate and execute advocacy programs regarding access to care, research, diagnosis and treatment for people suffering with chronic pain from fibromyalgia and overlapping conditions. Vision Statement: The goal of the National Fibromyalgia & Chronic Pain Association (NFMCPA) is to educate the patients and the medical community as well as the public, government agencies and scientists regarding the importance of timely diagnosis and appropriate treatment of FM and overlapping conditions in order to gain the most positive outcome for this patient population. Here at npsm we have been busy putting great gift ideas together in our Mother's Day Shopping Site so your gift to mom can also generate a gift to FMCPaware. We are very excited about the amazing Green Groupon Deals that the Chicago-based company assembled with the help of actor Edward Norton. From solar powered mobile device chargers to tropical getaways to eco-friendly resorts in Thailand and local restaurant deals, it's all there. Groupon sends 7.5% of your purchase to your cause! 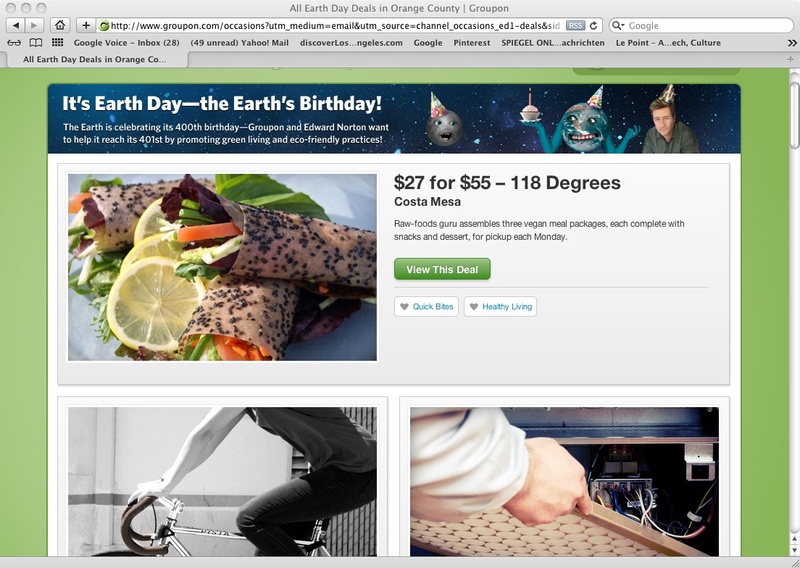 Also check out our Green Shopping Category! Teavana has wonderful special offers. Celebrate Earth Day and help your cause! Light It Up Blue - Faites Briller En Bleu! We are celebrating World Autism Awareness Day! Nous célébrons la journée mondiale de sensibilisation à l'autisme! Tonight, worldwide supporters and friends will turn a blue light on autism awareness. Ce soir, les supporteurs et amis allumerons les lumières bleues. If you shop online, make it count for Autism Speaks. Si vous faites des achats en ligne, n'oubliez pas d'utiliser le App pour aider Autism Speaks. Thank you, merci d'être un ShopAnthropist!